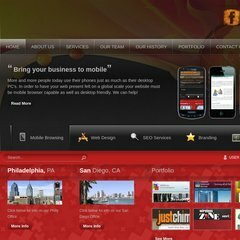 www.Aarson.com - Aarson Inc. Burning Up The Internet! Topics: Services, Website Design, Design, Branding, and Website Development. 44 users visit the site each day, each viewing 1.70 pages. Godaddy.com Inc (Arizona, Scottsdale) is the location of the Apache/2 server. The programming language environment is PHP/5.2.17. It has 2 DNS records, ns1.aarson.com, and ns2.aarson.com. PING (50.63.52.157) 56(84) bytes of data. A ping to the server is timed at 59.0 ms.